Dr. Duncan Neilson, Chief of Women`s Health Services, Legacy Health Systems, speaking on how Legacy Health Systems supports transfers to the hospital from home births. 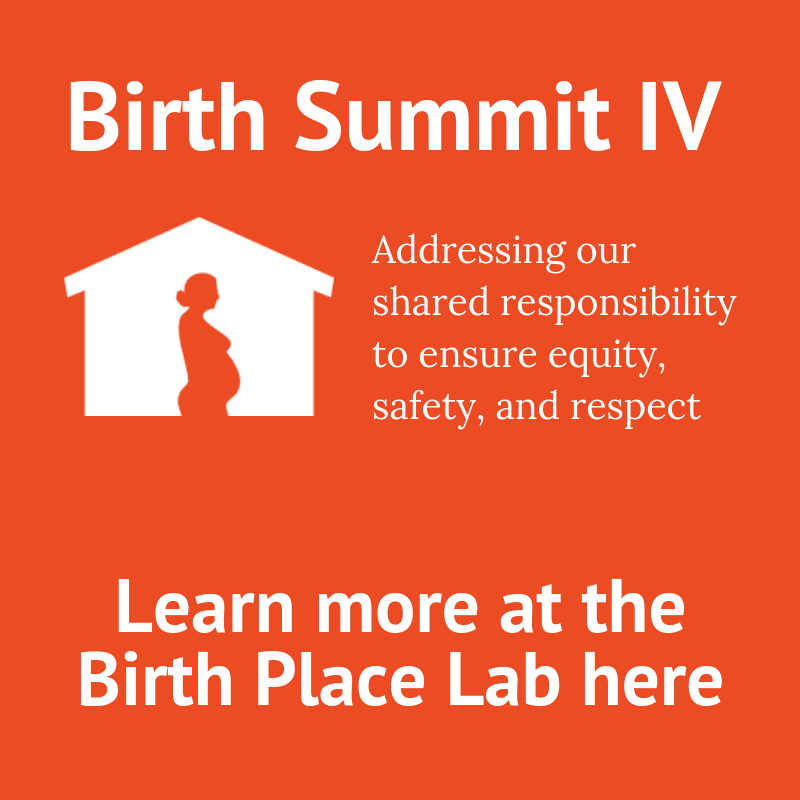 His talk is a part of the Interprofessional Collaboration and Communication panel from the 2014 Home Birth Summit. The transcript of Dr. Duncan Neilson’s talk is pasted below and is available as a free download here. Neilson: Okay. Duncan Neilson, as she pointed out, I’m an OB/GYN physician by training, actually. Was an OB/GYN and GYN/Oncology. My training predated the oncology board so I wound up practicing general OB/GYN and GYN/Oncology in Portland starting actually in 1974. I practiced for a long time in that community and became, over the years, pretty much involved with the hospital and to some extent the hospital system. By that I mean I was department chair for the OB/GYN department and I was medical staff president. I was on several board quality physicians, I was ultimately on the system board, ultimately the vice president of the system board. I kind of made a lot of contacts and so forth, and then just about nine years ago I accepted a position, leaving my practice and becoming a system-wide medical director for women’s and initially just women’s services but it wound up being a women’s and surgical center so that was kind of an interesting switch in my world. I thought it was going to be a little bit less demanding with less night call. Turned out it was more of a frying pan to the fire type of move. Anyway, my relationship … Through my thirty years of practice, my relationship to the home birthing community was much like that of ships passing in the night. I was always too busy and sleep-deprived to notice much of what was going on except that, and I was aware of some hostility between my fellow physicians or hospital staffs and the home birth nursing community and there were also some sort of publically exaggerated, you might say, conflicts between them but that was really about as much as I knew about it. When I took on this position I suddenly found myself as the owner of that particular conflict, which was a curious position to be in. I realized that our … One of our missions is to be of service to the community and in our community in Portland, you saw that Oregon has a high rate of out-of-hospital birth. Actually the Portland area is considerably higher than the numbers that you saw there. 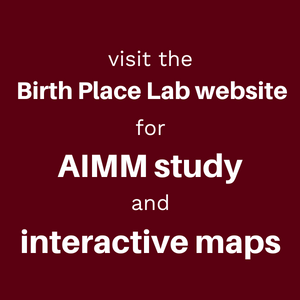 Something at least on the order of five percent of the births in our immediate area are planned out-of-hospital births. I thought “Well, if I’m supposed to live up to my commitment I really have to somehow address this because this is the community that we live in.” It’s not whether I oppose or promote out-of-hospital birth, it is that I realize that this is my job now; this is what I do. I’ve kind of had to address this hostility. I was helped in this by a couple of phone calls; one from a very eloquent certified nurse midwife at OHSU, the Oregon Health and Sciences University, who had tried to transfer a patient to one of our hospitals during labor and received so much flak and criticism and expletives over the phone and there was so much overt hostility that she wound up not pursuing that transfer, which would have been a very important transfer. That occurred to me that that was actually a real system failure. Here was a patient that needed the help. The patient was actually a physician and her husband was a physician. When I learned more about this story and learned what was going on and how massive this failure was, it was really quite embarrassing. When they presented the case review, three midwives from that group appeared and they had wonderful records. They described the patient’s history, they described the management of the labor and everything and then wondered what our impressions were. We started a very, very productive conversation. Another one of my tasks, we have two tertiary care hospitals and our largest hospital is a very high-end tertiary hospital. By that I mean we have a level-one trauma program, we have a regional birthing center. We are the regional at-home center. We have the second children’s hospital in the Portland area, which gives us high level, level-three intensive care. We have all the pediatric specialties. We really have a tertiary care hospital and I needed to find a way to support a maternal/fetal medicine program and came up with the idea of starting an OB/Hospitalist program to serve as maternal/fetal medicine extenders, then we could extend our maternal/fetal medicine program to our second largest hospital. That was sort of my challenge. I wound up developing an OB/Hospitalist program, in having these conversations with the home birth midwives and the employee certified nurse midwife program at our largest hospital that I was now in charge of–the picture here is I am now in charge of the maternal/fetal medicine program and in charge of the employee nurse midwife program in the hospital–it occurred to me that I actually had a substrate wherein I could start to address the hostilities within the community of midwives. Prior to instituting the hospitalist program at the large hospital, I had done one at the smaller hospital first. The large hospital is a teaching hospital, so the situation was that we had a group of in-house faculty whose presence was required by our need to meet the resident accreditation. To have residence you have to have in-house faculty 24/7. We created a call rotation where community physicians who were on the medical staff would agree to stay in-house nights and weekends and cover the resident services. It turned out that these were the people who also were generally on emergency room call so they were the ones that were fielding the occasional calls that would come in from the community to transfer patients. They actually were the source of much of the hostility between the community and the hospital. After some conversations with them about this, it occurred to me that if I could get a hospitalist program in, I could replace this whole hodgepodge of affiliated physicians who were really governed by their fear of this world, and replace them with four people over whom I had command and control, but more interestingly, I really had the ability to carry on constructive dialogue about how we wanted to optimize our services. At that time, our nurse midwives, by medical staff bylaws were not allowed to accept intra-partum transfers. Such transfers had to go to a board-certified OB/GYN. It was simply a hospital rule. It seemed like if we were going to improve the relationships with the community the first thing we had to do was change the hospital bylaws. I thought it would be much more acceptable to both the community midwives and to their clients if we could transfer to another midwife who had hospital privileges rather than transfer to an OB who most of them didn’t know, didn’t trust and probably feared. One of the big problems with trying to reach out to the community to improve the relationships and hopefully improve the care was that while we could deal with policies, what we really were going to be dealing with was a major culture clash and how to navigate the culture clash and soften that was what I felt was the biggest challenge. Step one, I thought, was to make the primary recipient of the transfers be another midwife. The neat thing was that the system we had was that the required MD backup for the midwifery service was now, by my command and control, the four OB/Hospitalists. They agreed that if the midwife could accept community transfers, they would provide the OB backup for them. This is what really turned the corner for us. We had, prior to that time, very few transfers to any of our hospitals. We would have just a couple a year. The typical scenario would be that something had gone dreadfully wrong and the community midwives, after exploring their options, would finally, and receiving nothing but hostile response from the various hospitals, would have the patient transported to the hospital by ambulance and then they would all bolt and just leave the patient in the emergency room and to the care of whoever was on emergency call. We called these train wrecks because there were problems rolling but when they hit us the problem was only compounded until you actually got things under control. After we created this system of midwife transfer, suddenly the community midwifes felt more free to talk to our midwives and prepare these patients for transfer. The hospitalists were very supportive to this and a lot of the areas began to crumble pretty quickly. The first group would have a couple of transfers a month and then we would go back to the community midwives and discuss how we succeeded or more likely initially failed because we didn’t meet everybody’s expectations right at first. There was a steep learning curve for everyone. We would go to the communities, my lead midwife and I and sometimes one of the hospitalists would go to the practice sites of particular community midwives and we would say “What did we do well? What did we do poorly? How are we going to do it better the next time?” and so forth and we just basically have created these relationships to the point that we wound up seeing more on an average of two transfers per week into our program and we began getting very positive feedback from the client/patients who were transferred, who said “We had no idea hospital care could be friendly” and so forth. Our outcomes, and I’ll just finish with a couple of numbers here; our outcomes, were now … I just got an email of the 2013 transfers. We transferred into our midwifery database 86 patients, which isn’t the whole story because direct transfers to the hospital we don’t have a good way to count because there’s no code for that. At any rate, it’s roughly 100 per year that we get. Our c-section rate of those 86 was 41 c-sections. The rest all delivered vaginally. The outcomes … there wasn’t a single bad outcome in the group that wasn’t already pre-determined by something that no one had control over. We have expanded the same work to all of the other five hospitals in our hospital world.